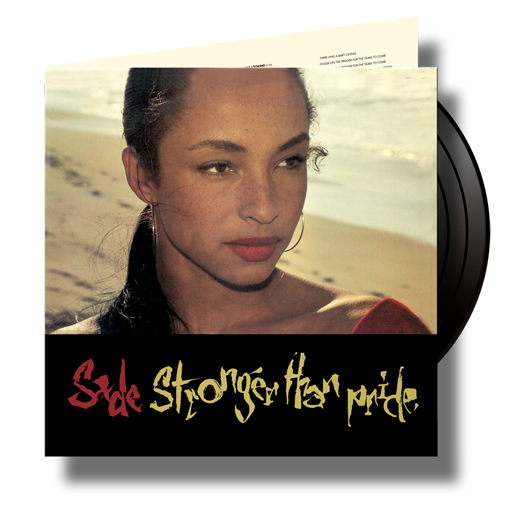 Camarillo, CA – Music aficionados worldwide are buzzing with excitement over the release of Sade’s ‘Stronger Than Pride’ on limited edition 180g vinyl on Marshall Blonstein’s Audio Fidelity. In 1988, three years after leaving their fans begging for more, Sade released their third studio album, ‘Stronger Than Pride’, one of their best works ever. An international hit that lit-up the Pop, Jazz and R & B charts. On ‘Stronger Than Pride’, probably Sade’s most stripped down and sparse album, the band creates the perfect groove for romance and fulfills the promise of their stunning debut by continuing a sense of sophistication and understated elegance, two hallmarks of the Sade sound. Sade’s singing is exquisite. ‘Stronger than Pride’ exudes a greater confidence than the first two records, the talented band no longer has anything to prove. Stuart Matthewman on guitar and sax, Paul Spencer Denman on bass and Andrew Hale on keyboards are strong musicians/composers with distinctive character, the perfect vehicle for Sade’s mature, lush vocal lead. Sade offers cool composure… a unique sound that infuses Soul, Pop, Contemporary Jazz and a little Middle-Eastern flavor. It’s impossible to separate the allure of this sultry music from the persona of the woman singing it, for Sade truly is a femme fatale of mythic dimension.